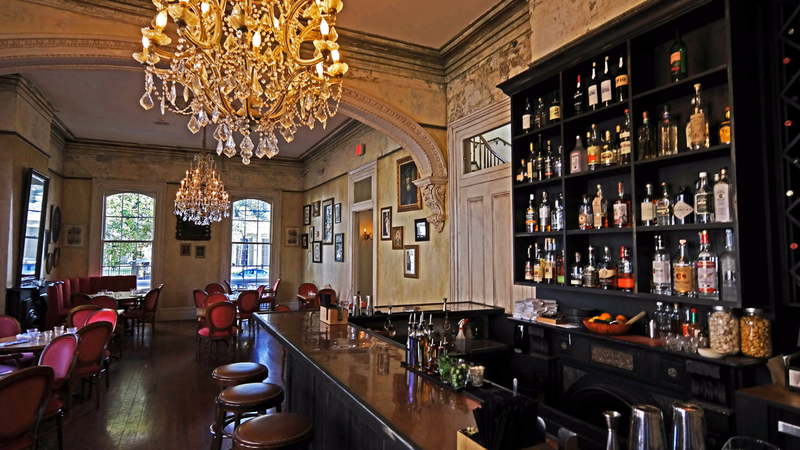 Pictured above – Upstairs bar at Cavan Restaurant, Uptown, New Orleans. 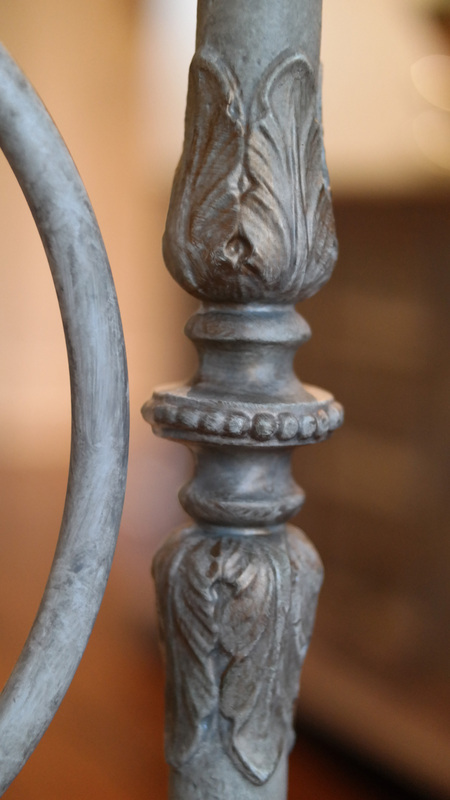 “You still doing ‘the’ faux finishes?” It’s something we hear a lot at Sylvia T Designs, having been in business for nearly 25 years. 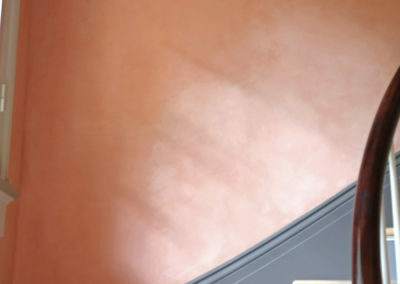 For many, faux finishing still conjures up images from the nineties – finishes using lots of sponges, mauve, depthless looks. But, that is not the case today (and really wasn’t then, in truth for professionals.) 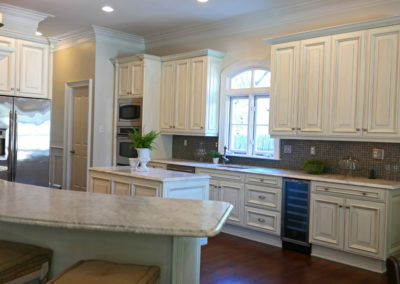 Much of that lasting impression comes from marketing that targeted DIYers and non-qualified contractors in other fields. It was driven by certain retailers and product makers that oversimplified the process and the materials. 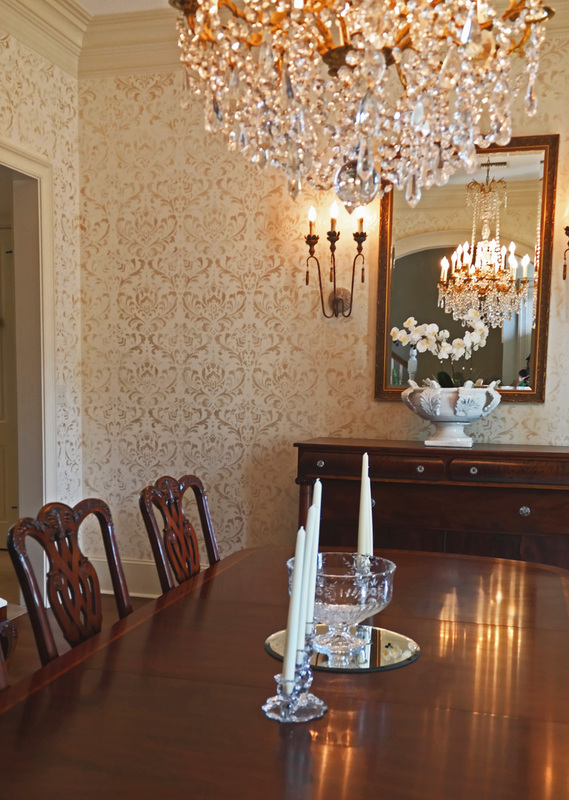 The results were often amateurish and created a misunderstood legacy of the reality of faux finishing and the larger world of the decorative arts, of which it is a part. 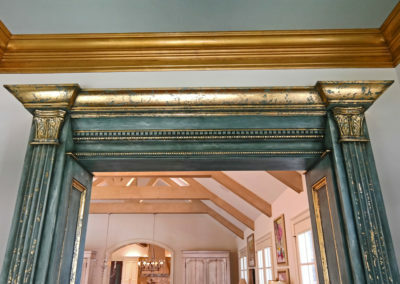 Pictured at left – A gilded (gold leaf) and finished archway in a New Orleans residence. This distinction, however, primarily exists from a Western conception, its roots coming from post-Renaissance Europe. In many other cultures, this view does not exist. In fact, in many cultures and eras there exists a smaller or a lessened tradition of what are called the “fine arts.” Works considered “decorative arts” were of higher value and the trades that created them were held in greater esteem. In China, for example, expensive materials and demanding techniques were employed to create greatly prized works that would be categorized as “decorative” by the western definition. The same can be said of much of the medieval period in the west as well as in many other cultures and time periods. 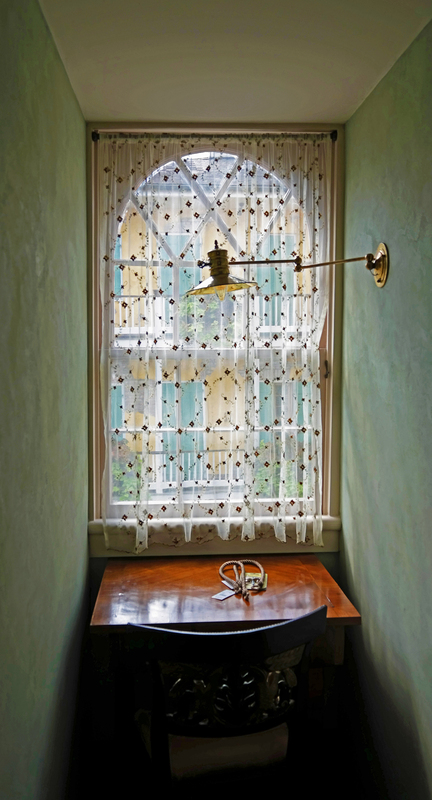 Pictured at right – A hand painted stencil in a New Orleans residence’s dining room. Historically, the decorative arts encompassed many techniques and forms. 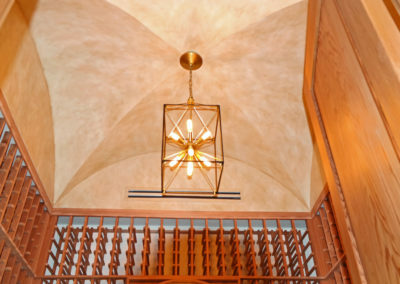 Plaster finishes demonstrating great depth, texture, and movement are a cornerstone. 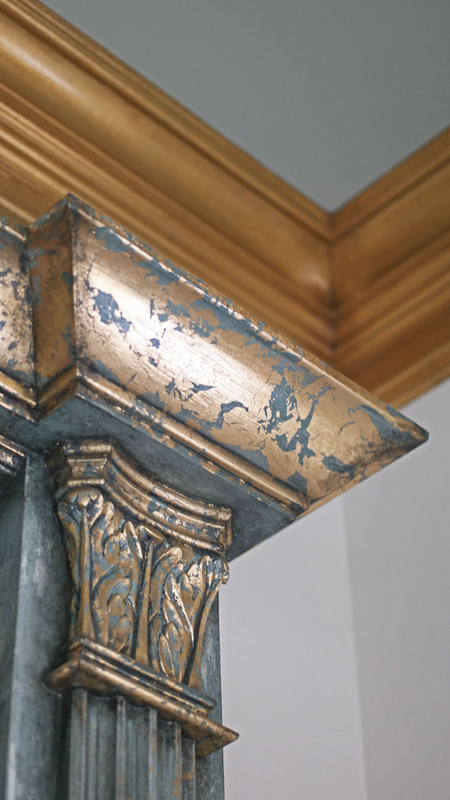 Gilding, such as gold and silver leafing, is another important area in the category. 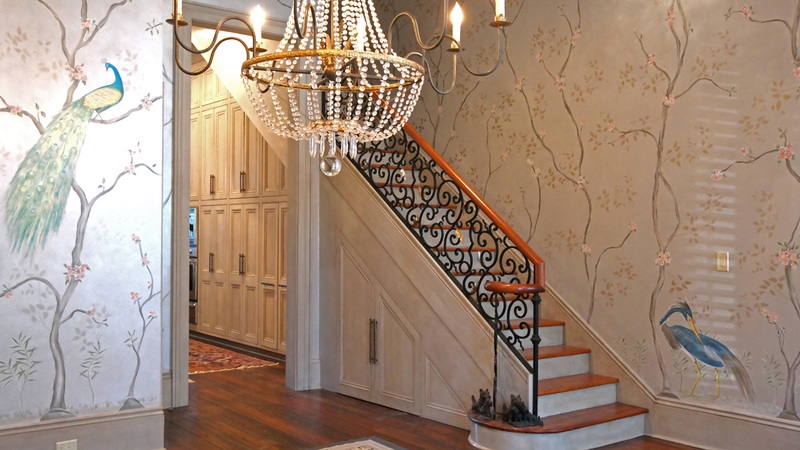 Beautiful murals, trompe l’oeil, and chinoiserie are also a significant craft in the decorative arts. Stencils are included, as well. 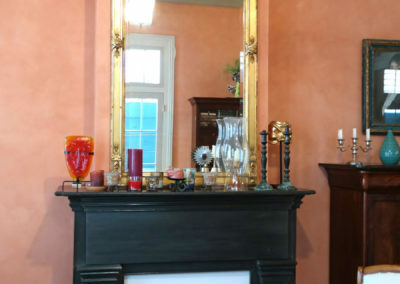 Additionally, pieces or items such as dishes, mosaics, hand-painted wallpapers, murals, and many others are part of the decorative arts traditionally. 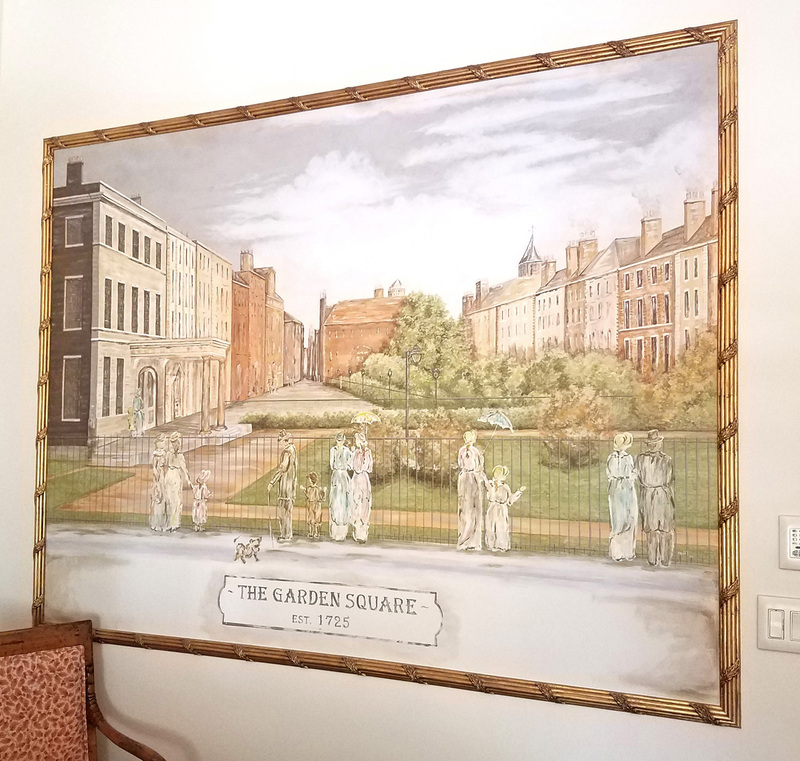 Pictured above – A hand painted chinoiserie (mural) in an historic French Quarter, New Orleans residence. 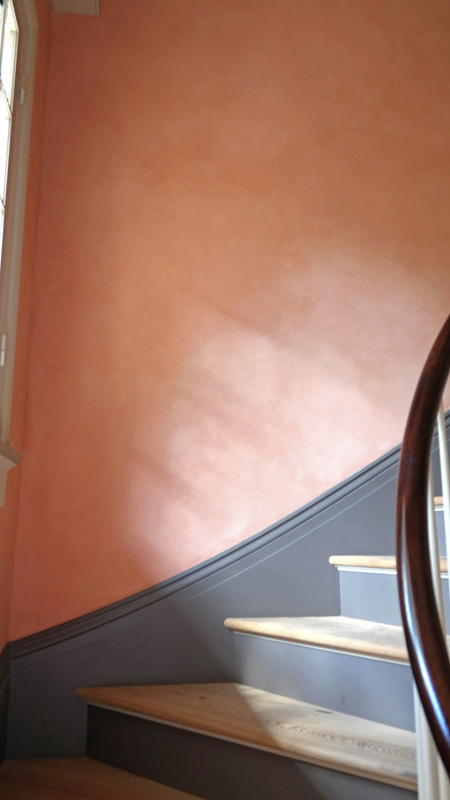 Pictured above – A hand painted chinoiserie (mural), cabinetry finish, and stairwell finish in an historic French Quarter, New Orleans residence. In reality, the distinction between the two realms may be hard to draw and can be somewhat misleading. Murals spring to mind as a fine example. They are functional on walls but can be true works of fine art. 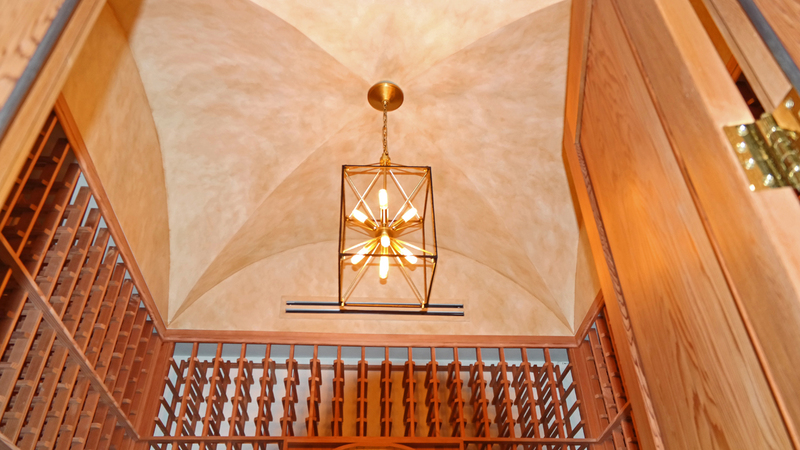 Moreover, and somewhat confusing, is that interior design is usually considered part of the decorative arts but architecture, though functional, usually is not and is also not considered part of the fine arts either. 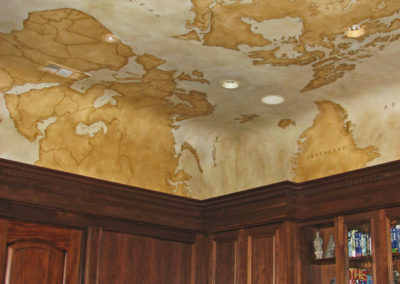 We started off talking about faux finishes. 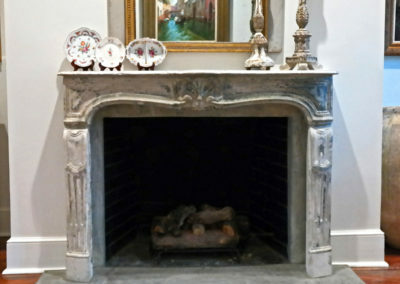 It is certainly a key part of the larger decorative arts field and has been for a long time. 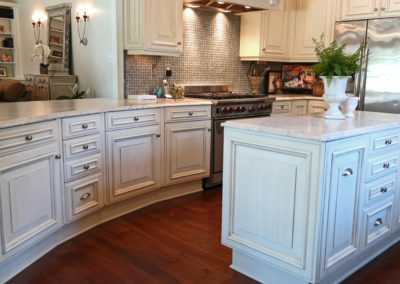 The French word “faux,” of course means “false.” The original concept and approach dates back millennia such as in the tombs of ancient Egypt or with the plaster and stucco finishes found in Mesopotamia over 5,000 years ago. 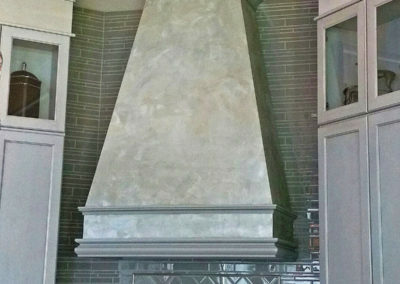 In general, the technique seeks to replicate the look of certain materials such as marble, wood, or stone. 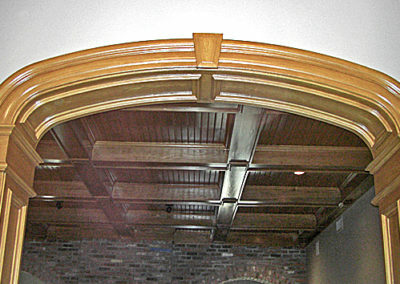 Pictured above – Various finishes and design elements in the main dining room of Cavan restaurant, Uptown, New Orleans. 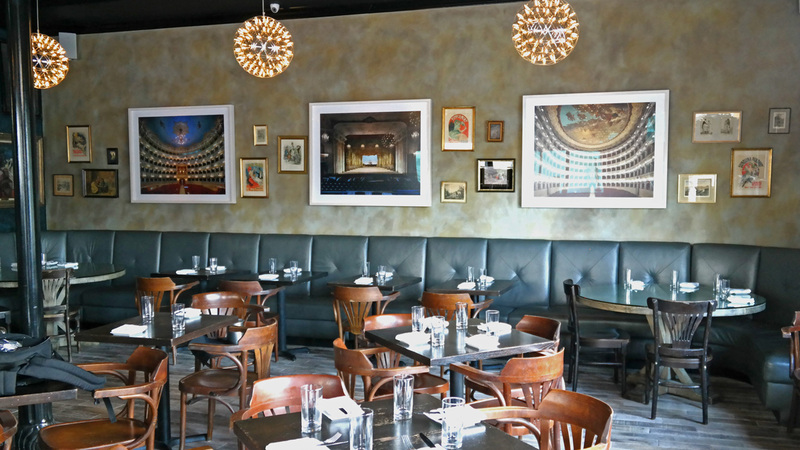 Pictured above – Faux Finished wall and other design elements at Meauxbar, a French Quarter, New Orleans restaurant. 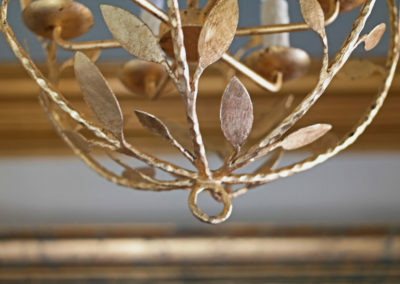 In many cultures and time periods, this was serious work and crafted by true artisans. In classical times, craftspeople would apprentice for years under a master before stepping out on their own. 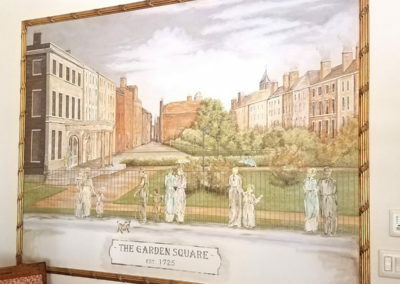 Faux painting has remained in existence since its earliest days including resurgences in the neoclassical revival of the 19th century and the Art Deco period dating from the 1920’s. 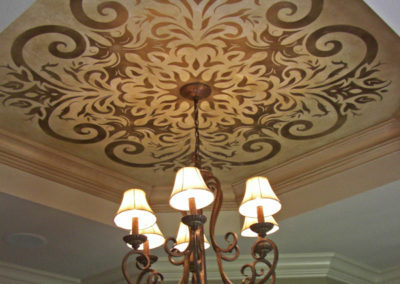 In the late 80’s and in the 90’s, the DIY movement as it relates to faux finishing or painting came to the fore. Many products were developed and a lot of marketing, such as by big box hardware stores, targeted home and business owners and sold them on the idea that these techniques and applications were simple enough to take on themselves. 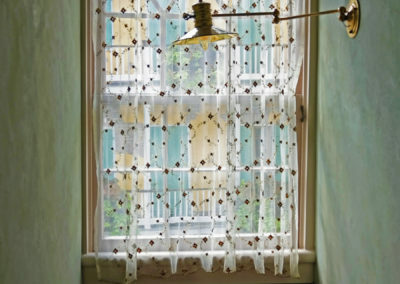 This also went hand-in-hand with the decline in popularity of wallpaper. These ideas pervade today. 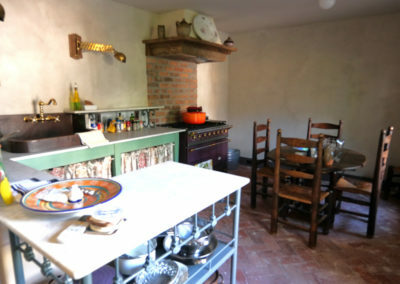 As we discussed earlier, often, the result, in the hands of non-professionals versus professionals (read: craftspeople, artisans, artists), looks amateurish, simple, or downright bad. What’s more is that to achieve a truly artistic look, complex skills, techniques, and product usage and knowledge are required to achieve success. This is a level of artistry that elevates the work from the amateur to the professional and a key distinction to understand! So, what is today’s decorative artist then? Clearly, the lines are blurred on how certain works are defined and, perhaps, as we mentioned, this distinction is no longer really needed. 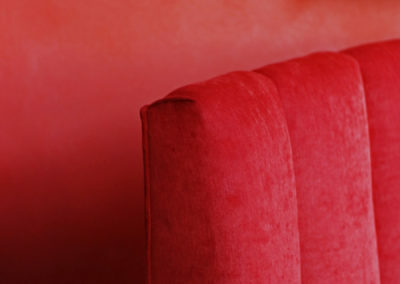 The decorative arts, at the least, sit firmly in the highest levels of artisanship and craftsmanship. They can also, in the hands of a true professional, enter the realm of what some may call the “fine arts” with certain projects. 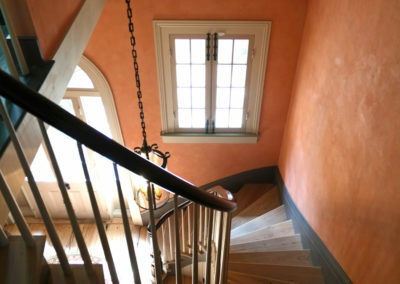 Pictured at left – Metallic Finish on a stairwell spindle in a New Orleans residence. 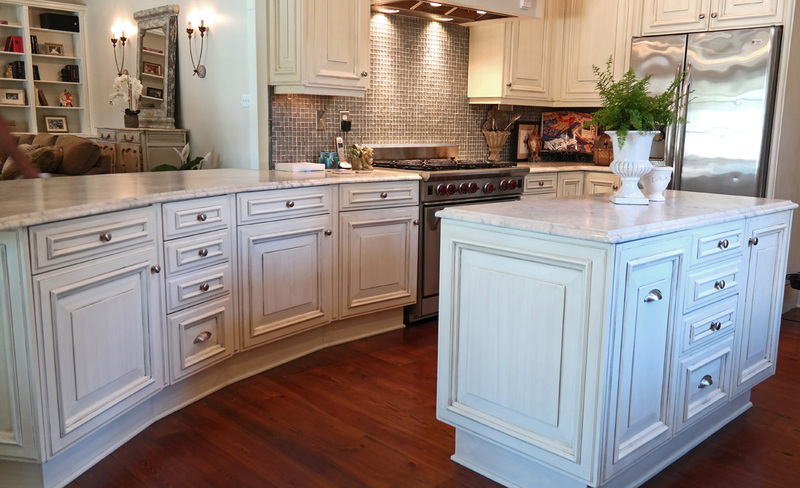 At Sylvia T Designs, we have been serving the greater New Orleans area and working to “honor tradition and progress for nearly 25 years.” We continue to be at the forefront of the decorative arts. As always, this means studying, honoring, and mastering the many and varied techniques found within this rich heritage. But it also means looking towards and creating its future by delivering unique vision and inspired artistry. 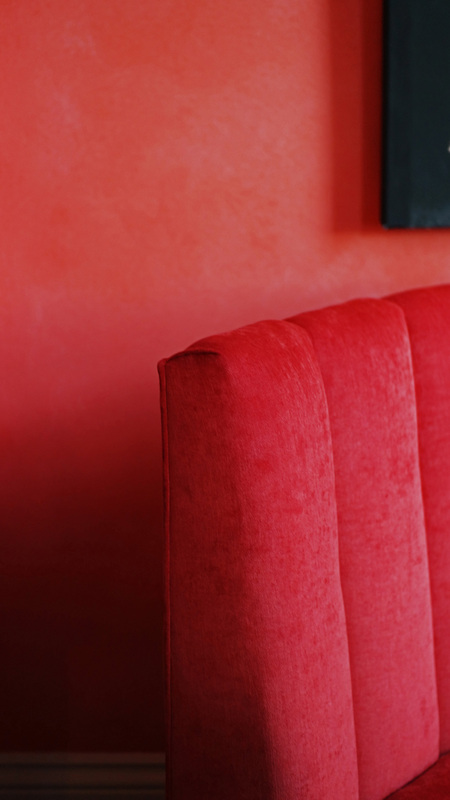 We have expanded our services in recent years to include plaster restoration and repair, restaurant and bar design, color consultation, and more. We constantly keep abreast with the latest products and techniques as well as trends and styles. 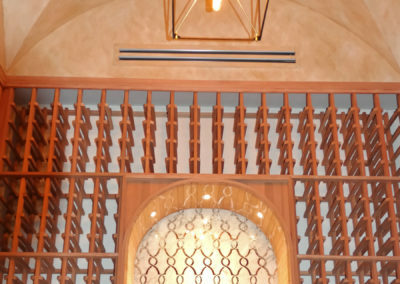 We work on small and large projects, commercial and residential, historic, existing and new construction, as well. 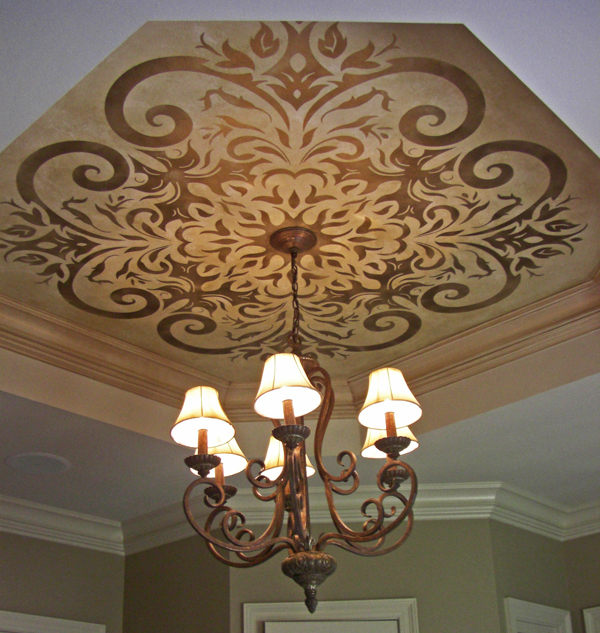 Sylvia T Designs – A custom designed stencil on a residential ceiling in New Orleans. 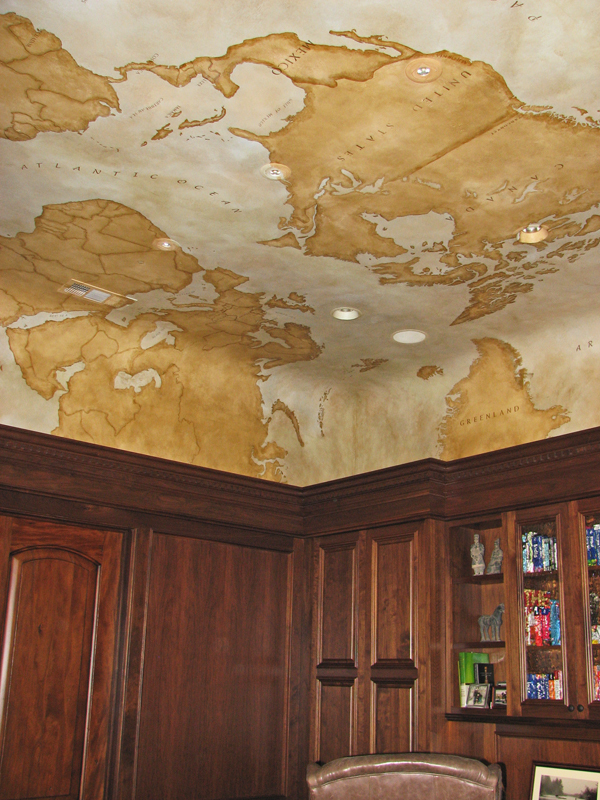 Sylvia T Designs – Hand-painted Old World map on canvas applied to the ceiling in a California residence. 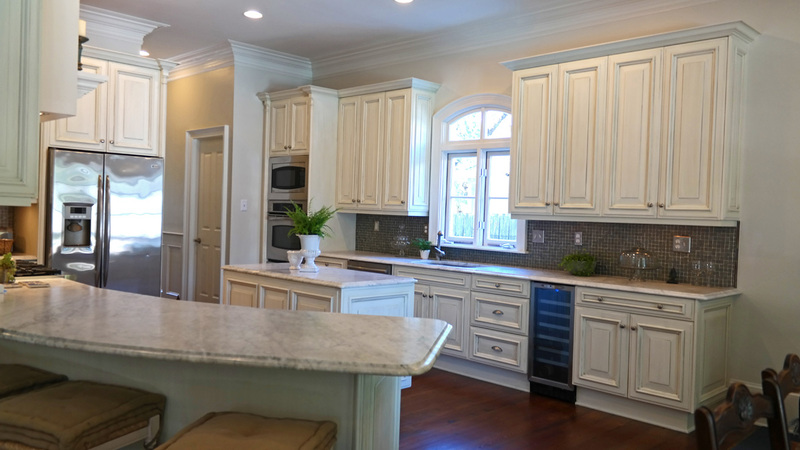 Sylvia T Designs – Kitchen Cabinet finish in an Old Metairie residence. 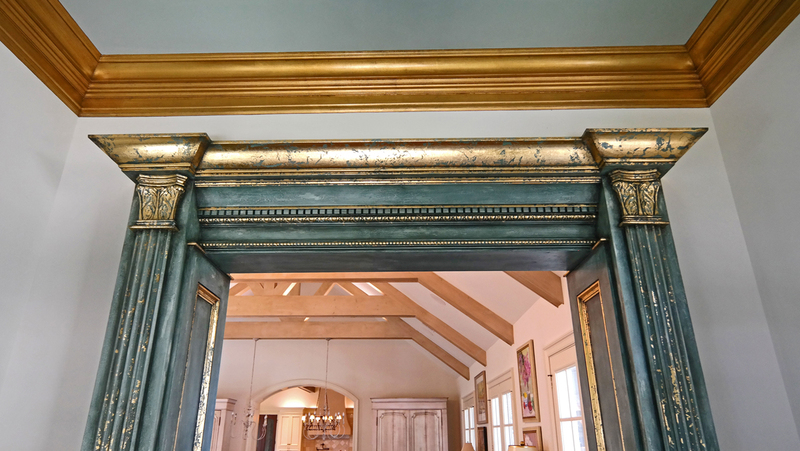 Sylvia T Designs – A gilded (gold leaf) and finished archway in a New Orleans residence. 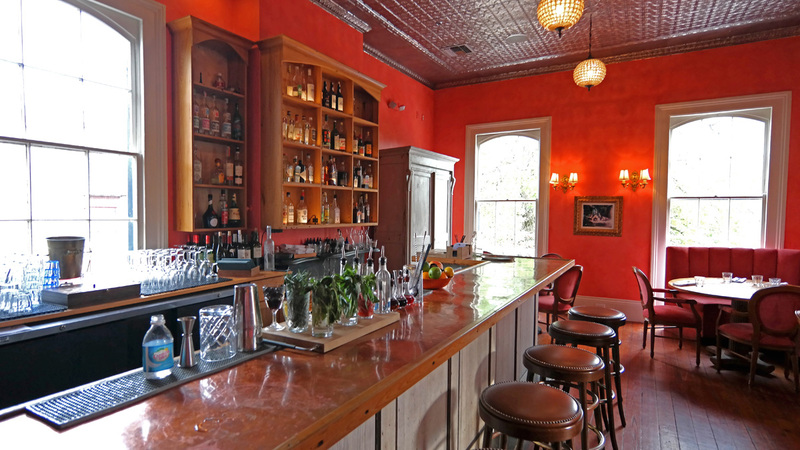 Sylvia T Designs – Wall glazing and color consultation at Cavan restaurant, Uptown, New Orleans. 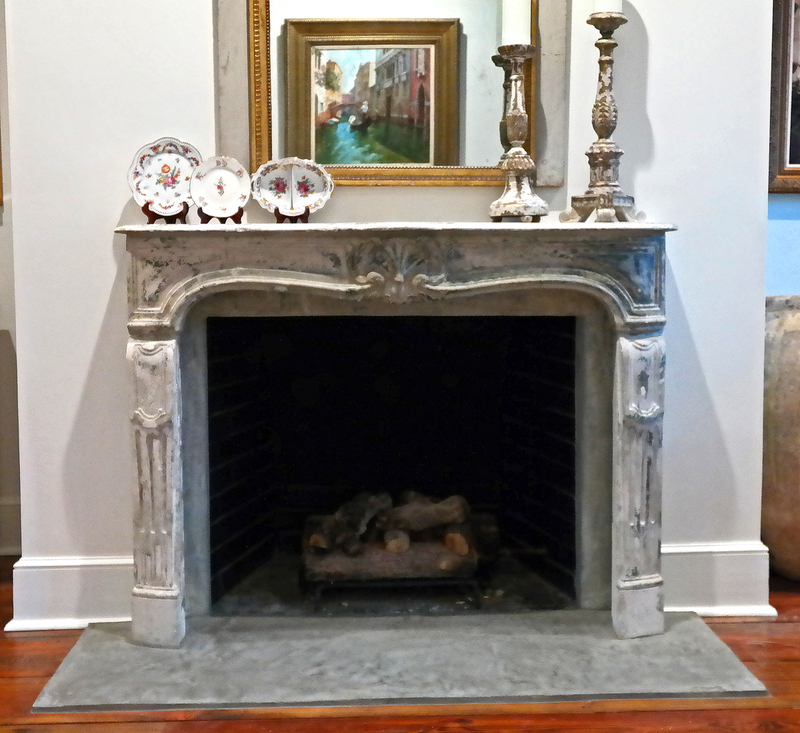 Sylvia T Designs – Old World plaster finish in an historic French Quarter, New Orleans residence. 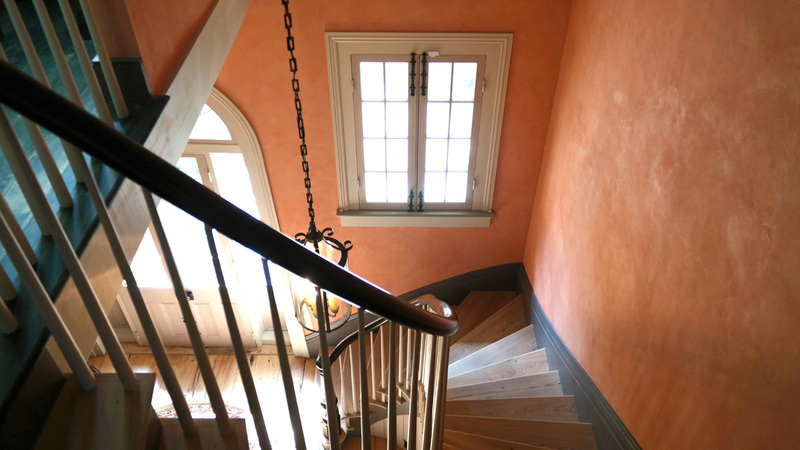 Sylvia T Designs – Old World plaster finish in an historic French Quarter residence stairwell. 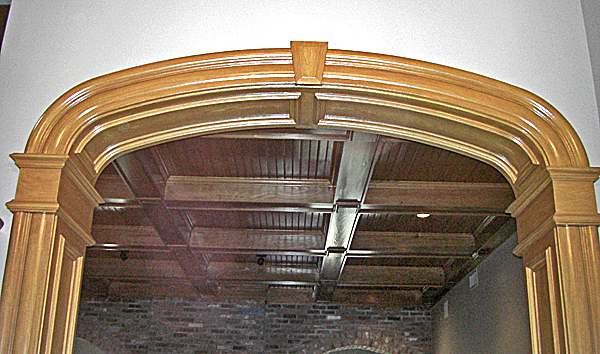 Sylvia T Designs – Faux bois archway in a Covington, Louisiana residence. 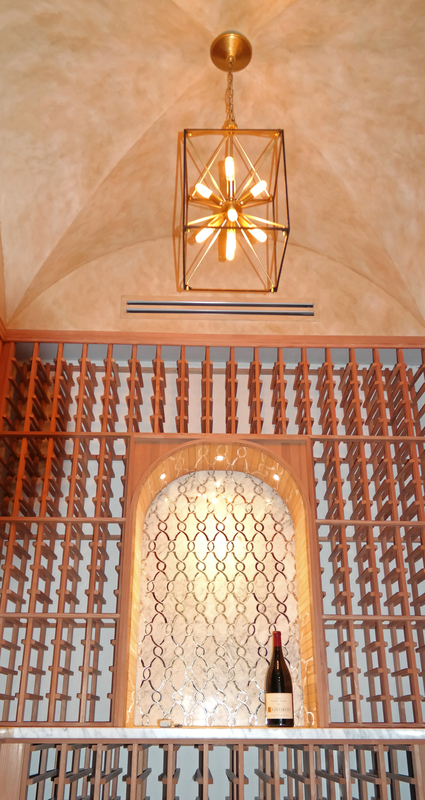 Sylvia T Designs – A hand-brushed glazing in a residential wine cellar groin vault in Covington, Louisiana. 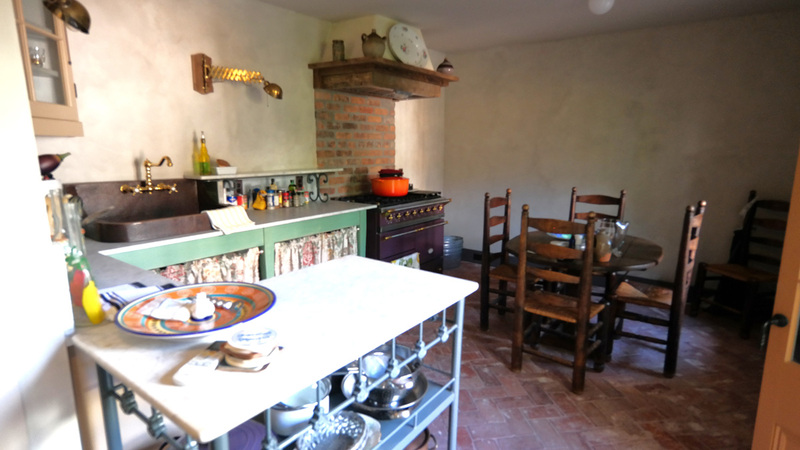 Sylvia T Designs – Old World plaster finish in an historic French Quarter residence kitchen. 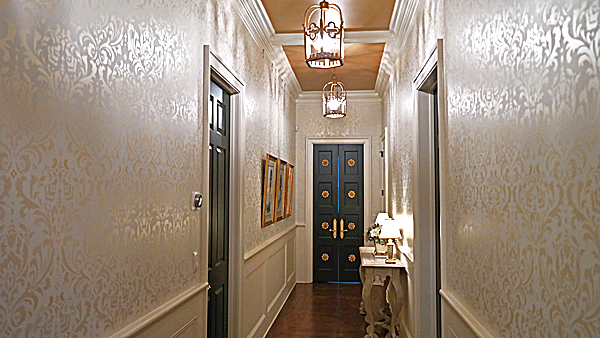 Sylvia T Designs – A Damask wall stencil in a New Orleans residence. 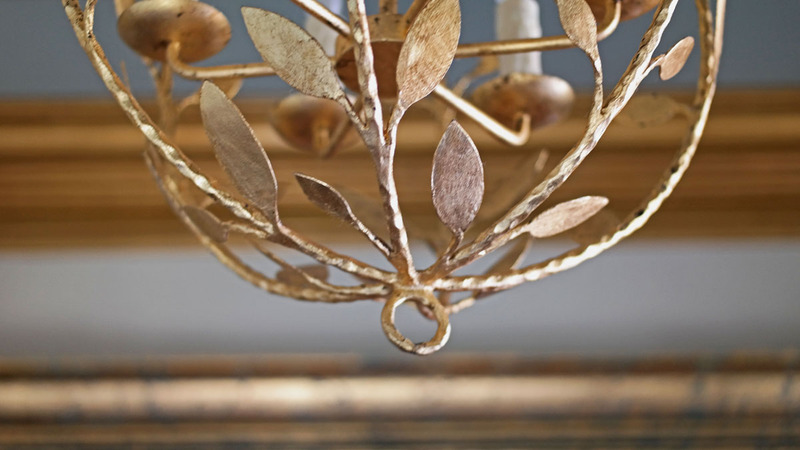 Sylvia T Designs – Gold leaf (gilding) chandelier in a New Orleans residence. 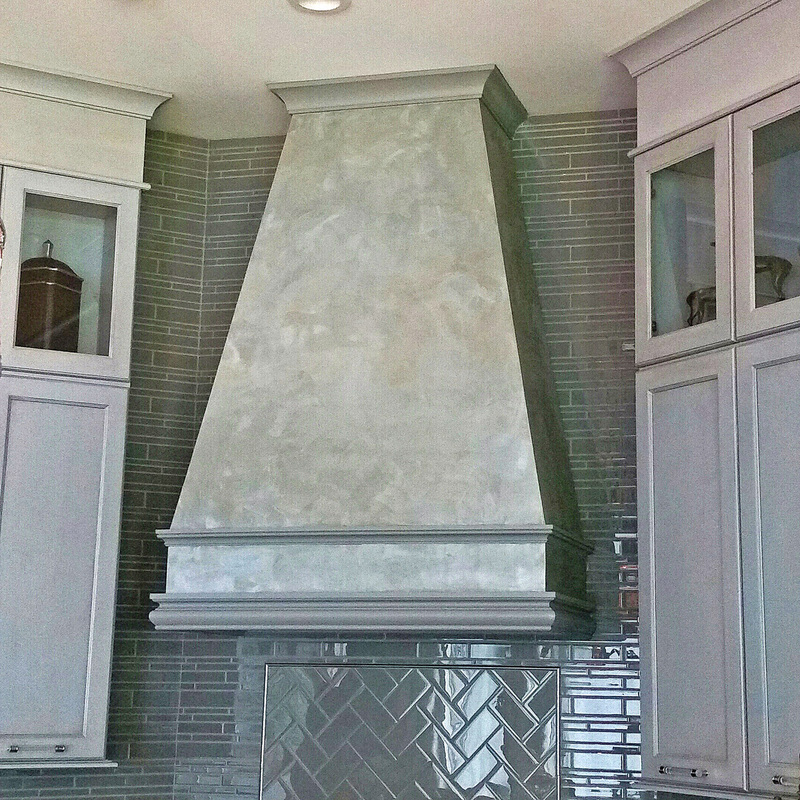 Sylvia T Designs – Plaster applied over tile on a hearth in a Covington, Louisiana residence. 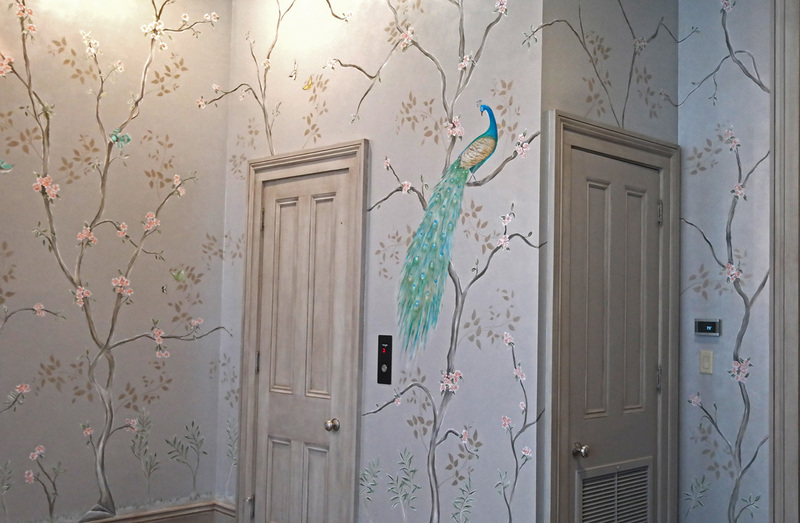 Sylvia T Designs – hand-painted mural in a New Orleans residence. 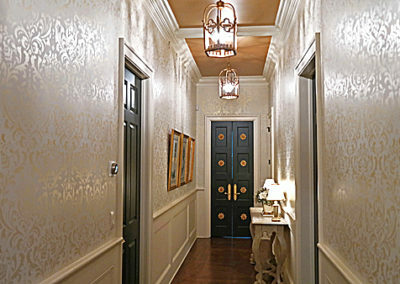 Sylvia T Designs – Metallic plaster finish in a kitchen of a Harahan residence. 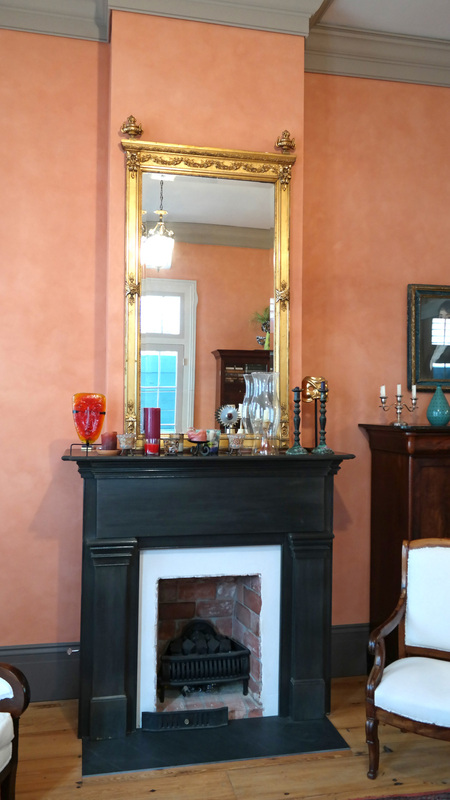 Sylvia T Designs – Old World plaster finish in an historic French Quarter residence.